Beautiful! That’s what family and friends will say about your new Salem kitchen cabinets. The door style is a clean mitered design with a solid wood recessed panel. Adding an island with a contrasting color looks amazing. 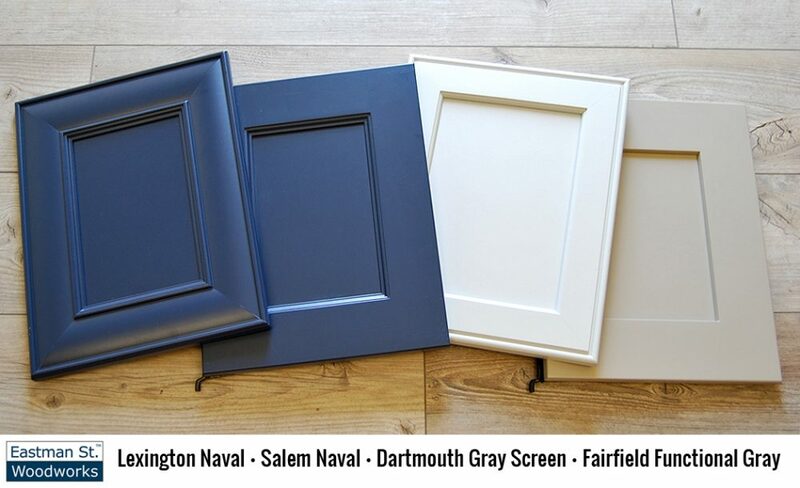 (The Concord door style with Naval finish is shown here.) 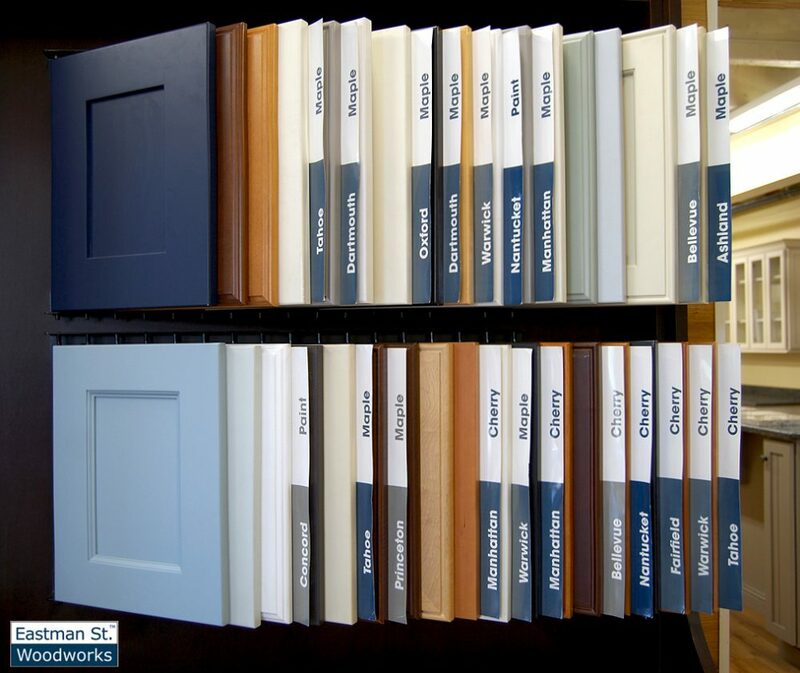 These Eastman St. Woodworks cabinets are available by special order in a wide range of standard, solid or glazed finishes. 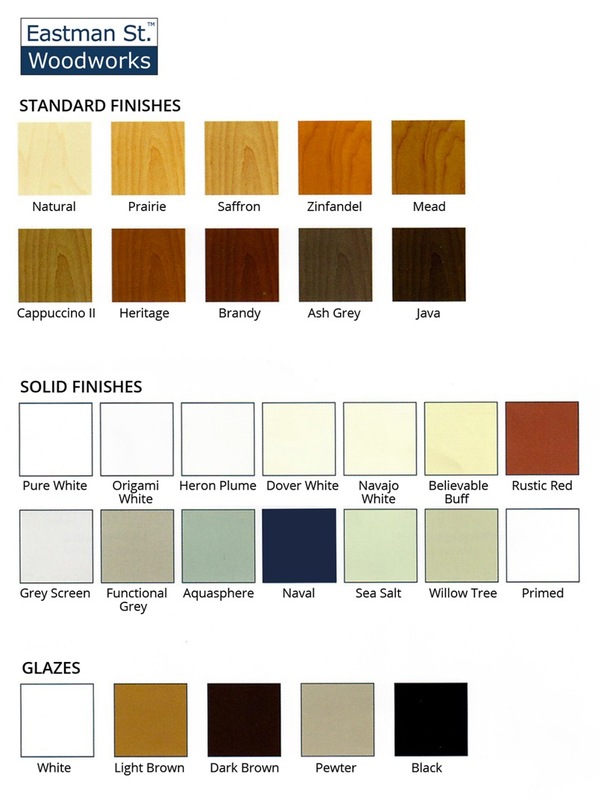 These are first quality custom kitchen cabinets, available by special order in a variety of door styles and finishes. 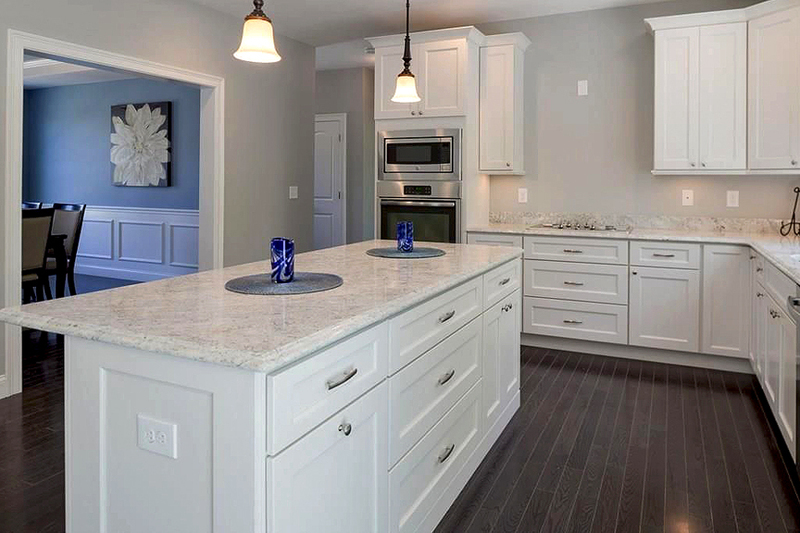 Eastman St. Woodworks gives you the look of custom kitchen cabinets without breaking your budget. You’ll love the savings found on kitchen cabinets at your nearby Builders Surplus store. Call to schedule an appointment to speak with one of our friendly kitchen designers. They can help you create exactly what you would love in your new kitchen. When you’re building a new home or remodeling your current residence, come in to find quality construction, beautiful styles and rich finishes. Won’t these cabinets look amazing in your new kitchen?